Home › Articles › Labour Law › When can I go on maternity leave? When can I go on maternity leave? Maternity leave is regulated by section 25 of the Basic Conditions of Employment Act. This specific section regulates the amount of leave a woman is entitled to, as well as when such leave should commence. In terms of this section a woman is entitled to four consecutive months of unpaid maternity leave. Therefore, the employer does not have to pay the employee during the period of four months. If the employee’s maternity leave is unpaid leave she can submit a claim to the Department of Labour and the Unemployment Insurance Fund. Maternity leave may commence at any time from four weeks before the baby’s expected date of birth, or on a date as prescribed by a medical practitioner should it be deemed necessary for the health of the woman and or the baby. Such periods can of course be amended by means of an agreement between the employee and the employer. This means the woman can commence her maternity leave four weeks before the expected date of birth. It need not automatically be the full four weeks prior to the birth. 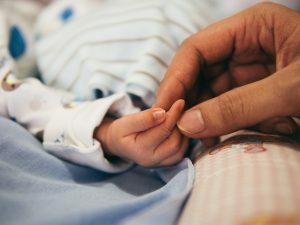 The Act does not require any medical notes or letters if a woman wants to go on maternity leave later than the four weeks but employers’ policies may sometimes require such notice. By law a woman has to be on maternity leave for at least six weeks after the birth of the baby. Should she, however, wish to return to work at an earlier stage, she will need a letter from a medical practitioner confirming that it is safe for her to return to work. If a woman has a miscarriage or a stillbirth during the third trimester of her pregnancy she is still entitled to six weeks’ maternity leave whether or not she was already on maternity leave at the time of the miscarriage or stillbirth.